a few days ago i mentioned i would be sharing some big news from us over here. i think it's finally time to mention it, because then maybe it will feel a little bit more real, ya know? i know what you may be thinking. and yes, we just moved back home to nashville from charleston, you can read about that here. but our move back to tennessee was kind of a temporary thing. we both were looking to start new jobs and be closer to home for a little while, me more so than him. and that's exactly what we got. we were able to spend the holidays and my birthday with both of our families. i was even there for my baby brother's birthday for the first time in almost seven years! that was a very happy moment for me. anyway, over the last few months, we looked for jobs and took interviews but nothing really felt right. 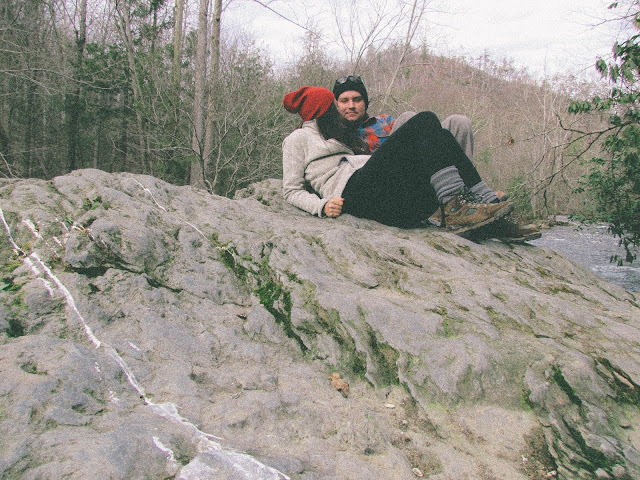 we searched for homes across the state and did some leisure activities in-between. however, as much as we were wanting to be close to home, we both knew we wanted to travel while we still easily could, you know... without kids and all. the internal struggle was always there. "we left to be close to home, why would we want to leave again?" but something in my heart told me we should be on the road. 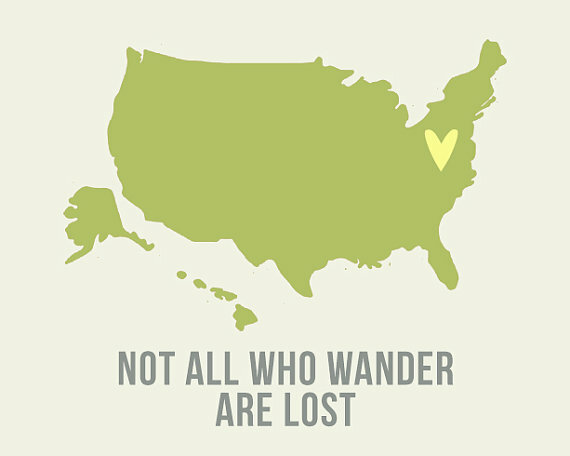 call it my "wanderlusting, nomadic spirit" as my grandmother put it. and then one day, carter got a call. after a few meetings and a lot of soul searching we realized this was going to be our next big endeavor. this job was always a distant possibility, but we were never too certain the opportunity would be there. and then one day, it was! and my dad, who was one of the main people to want us close to home, daddy's girl and all, told us, "what are you waiting for?" and we knew we had to take this chance because if anything was to come out of it, it would be our adventure. i'll be documenting our nomadic lifestyle every step of the way. the good and the not so good i'm sure. but i'm also hoping to meet up with new friends as we visit each place. you can follow along with me here on instagram. and please, give me a shout if i'm ever in your area. i'd love to grab coffee, take some photographs and talk life with you! Exciting! That is a great news. Life is full of adventures if you just let these happen. Look at me, I took my changes and now living in France! Never thought of living that far away but it's been great adventure. I'll miss my family but the times we spend together when we see are priceless. Happy moving! amazing ! I love your blog!Peace Kisses and love!! Have a fun!Do you want to follow eachother? What an exciting time for you! I certainly know the pull from a loving father and how difficult it makes living far from home. It's wonderful to hear he is so supportive of your new endeavor. I can't wait to follow along and learn where you'll be next! Take care, Sara! thats so exciting but probably nerve wracking too. i'll be thinking of you! Moving is so exciting yet terrifying. I can vouch for the fact that the further west you go, the better the weather gets...one summer on the east coast was all the humidity I could take :). Congrats and safe travels! What an exciting (and I'm sure slightly disheveled) life! Never a dull moment! Can't wait to read about your adventures! Congratulations!